The Isuzu Southern Kings and Toyota Cheetahs will return home disappointed after falling short in their attempts to register away wins on their second tour to Europe this season in the Guinness PRO14. The Isuzu Southern Kings went down 28-5 against Benetton in Treviso on Saturday, while the Toyota Cheetahs suffered a 37-21 defeat against Edinburgh at Murrayfield on Friday. The Isuzu Southern Kings’ ill-discipline and their struggle to contain the powerful Benetton forwards paved the way for their demise. The hosts scored their first try from a rolling maul four minutes into the game and added their second compliments of former DHL Western Province scrumhalf Dewaldt Duvenage in the 16th minute, while the Port Elizabeth outfit were reduced to 14 men. The team found themselves 21-0 down six minutes later after the hosts were awarded a penalty try following a second Isuzu Southern Kings yellow card, although the visitors managed to get their first points on the board shortly before halftime as Yaw Penxe touched down to trail 21-5. That proved to be the team’s only points of the match, while Benetton earned only seven points in the second-half through another penalty try, after the Isuzu Southern Kings’ Justin Forwood received his second yellow card. 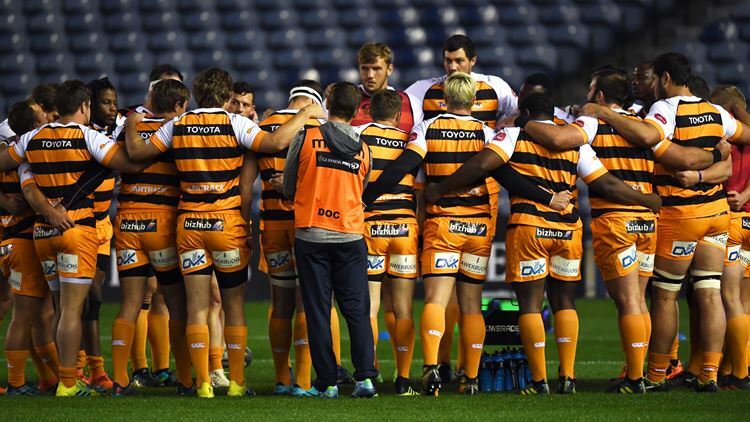 In Scotland, meanwhile, a late lapse on defence and penalties conceded at vital stages by the Toyota Cheetahs denied them from earning their first win of the season on Friday against Edinburgh, despite Franco Smith’s charges showing promise on attack. The Toyota Cheetahs started the clash slowly, but they staged a fantastic comeback from 20-7 down at halftime to power their way into a 21-20 lead early in the second half thanks to back-to-back tries by speedster Sibahle Maxwane within six minutes, to add to an earlier try by Nico Lee. Edinburgh struck back with a penalty goal followed by two tries in the fourth quarter, which steered them to a 37-21 victory. In the other matches, the Glasgow Warriors defeated Zebre 36-8 in Glasgow, Ulster went down 15-22 against Connacht in Belfast, the Scarlets edged Ospreys 20-17 in Llanelli, the Dragons suffered a 23-15 defeat against the Cardiff Blues in Newport, and Leinster earned a 30-22 victory against Munster in Dublin. Benetton – Tries: Luca Bigi, Dewaldt Duvenage, Penalty Tries (2). Conversions: Tommaso Allan (2). Isuzu Southern Kings – Try: Yaw Penxe. Edinburgh – Tries: Ben Toolis, Darcy Graham, Bill Mata, Jamie Ritchie. Conversions: Simon Hickey (4). Penalty Goals: Simon Hickey (3). Toyota Cheetahs – Tries: Nico Lee, Sibahle Maxwane (2). Conversions: Tian Schoeman (3).